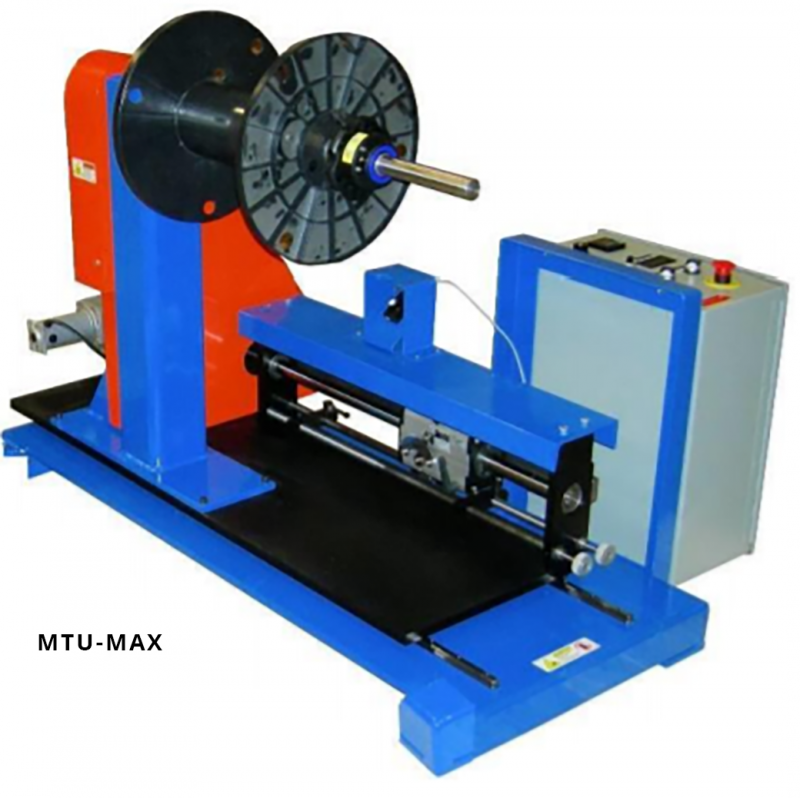 The spool on a Moving Take-up Unit (MTU) is carried by a traversing system as it rotates. 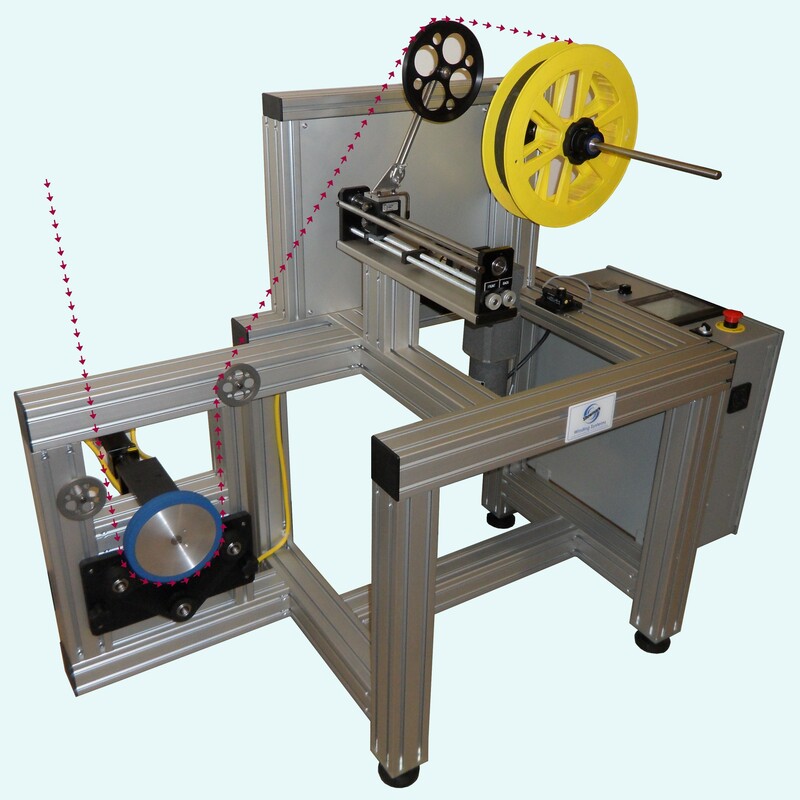 As a result, the material travels in a straight line onto the spool. This design minimizes stress and twisting and is ideal for delicate flat wire or strip materials. The system also potentially produces a neater wind. 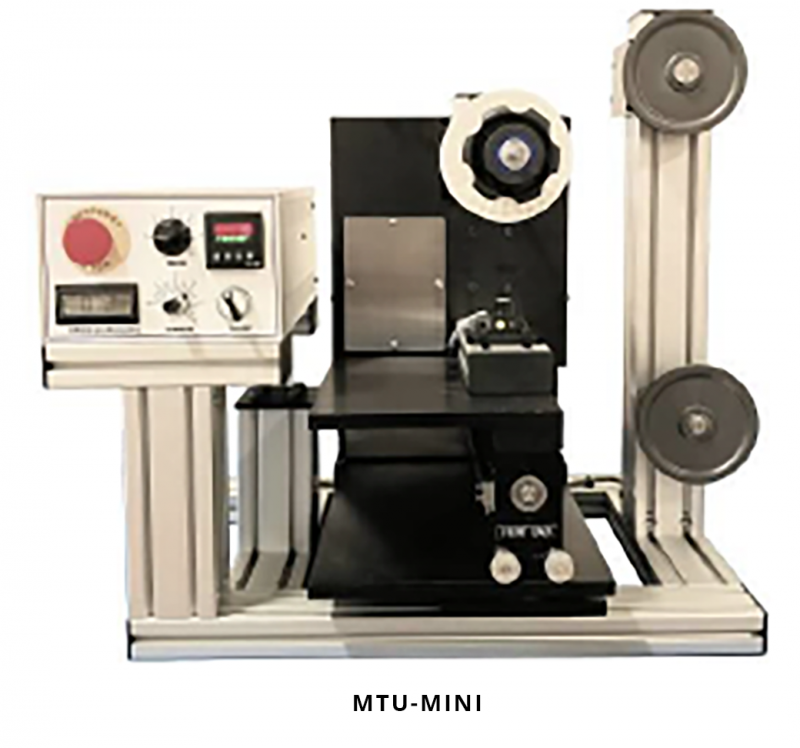 Showmark offers the MTU-Mini, Medium, and Max for spools up to 30 inches in diameter, 15 inches wide and weighing up to 300 pounds. 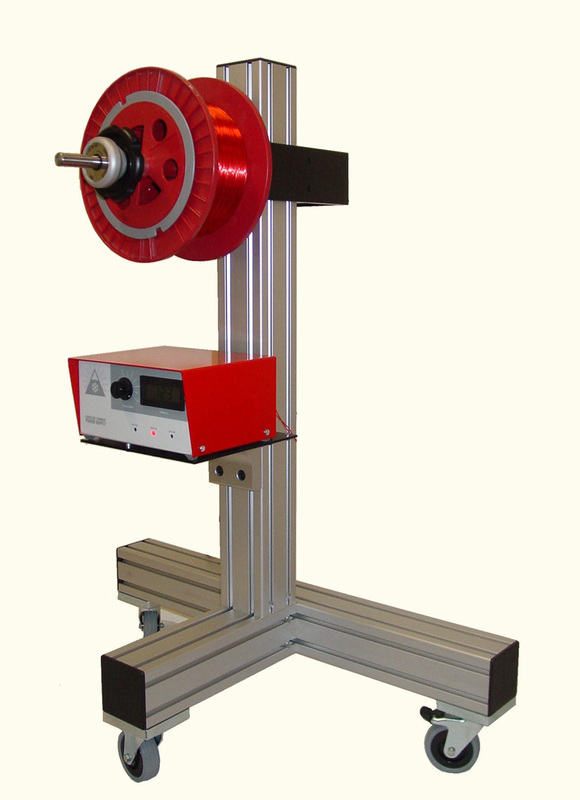 The systems shown includes a length counter/controller and an electronic slip clutch system for tension control. The Mini and Medium versions are also available with the CE-Mark option. 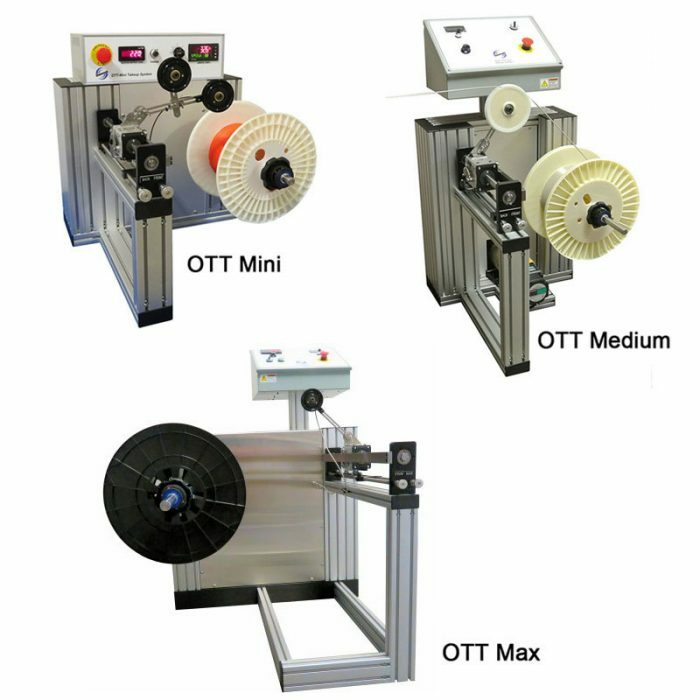 This machine is ideal for delicate materials, flat wire, or ribbon wire because the product travels in a straight line directly onto the take-up spool. 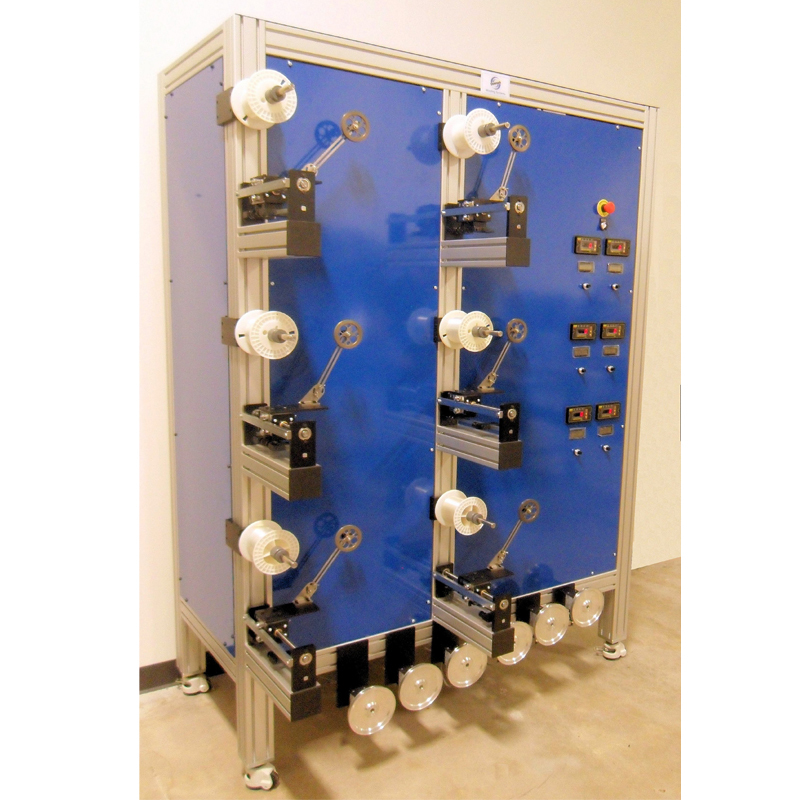 This machine has even been used for winding soft rubber tubing successfully. This minimizes twisting and produces a neater wind with less strain on the material.